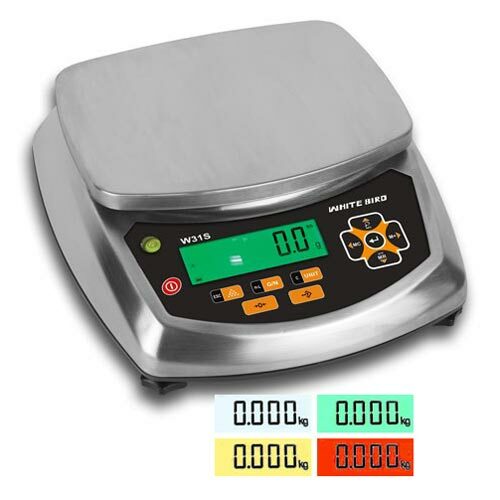 Washdown / Approvable IP65 bench scale with colour changing backlight display with 100 memory feature which shows under / over weights via colour display, these low cost units are particularly useful in shop floor applications, and come with integral 100 Hour power saving battery (rechargeable) for portable use and wash-down ideal for bakeries and the like. IP66 bench scale 20mm backlit LCD display. S..